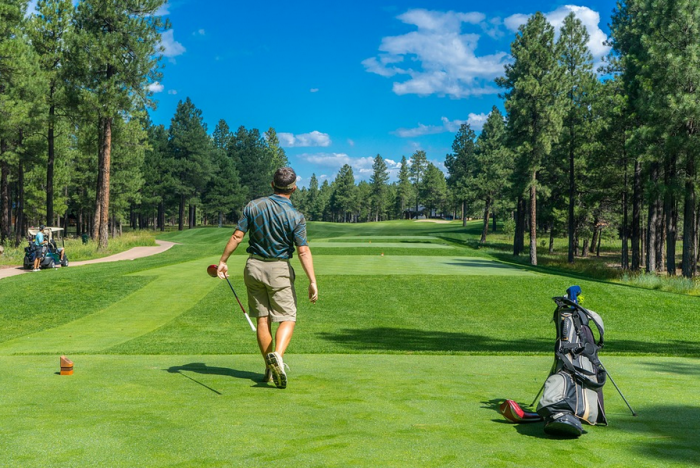 A survey of more than 200 golf clubs throughout England and Scotland has found that three in every four venues do not offer a corporate membership package, even though most businesses would welcome one. 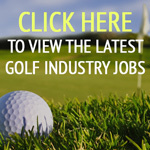 Golfing retailer GolfSupport.com reviewed 218 golf clubs from 17 different towns and cities to see if they offered a membership option specifically for businesses. An overwhelming 74 per cent (161) do not have a single corporate membership option available for businesses in their pricing structure. A similar survey found that 64 per cent of businesses in a range of industries in the two countries would be interestedin a corporate membership schemeto entertain their clients and / or treat employees. The areas were Aberdeen, Birmingham, Bristol, Cambridge, Coventry, Dundee, Edinburgh, Glasgow, Leeds, Leicester, Liverpool, London, Manchester, Newcastle. Nottingham, Oxford and Southampton – all prominent business hubs in England and Scotland. 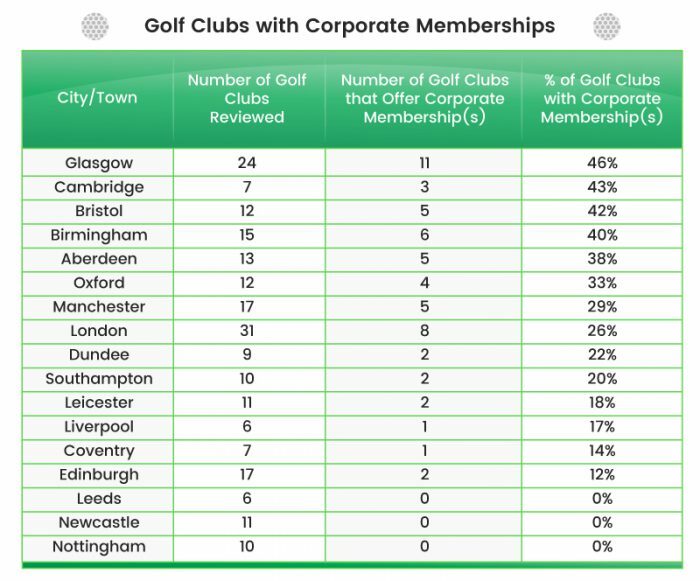 The research revealed that Glasgow (46 per cent)has the highest proportionof golf clubs offering corporate membership possibilities to businesses. Cambridgeand Bristolfollowed. 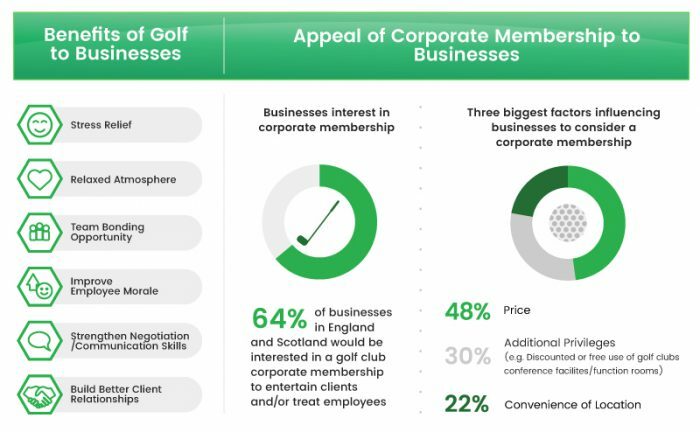 On the other hand, golf clubs respectively located and reviewed in Leeds, Newcastleand Nottinghamdo not have any corporate membership choices for interested businesses. Of the businesses interested in a corporate membership package, 48 per cent stated a fair and affordable priceas the most important factorfor them when assessing the value and suitability of a corporate membership. Contrastingly, for 30 per cent – the additional privileges offeredto businesses when they sign up to a corporate membership (such as the ability to clearly advertise their brand on the golf course and / or via the golf club’s website) was seen as the highest-ranking variable in their considerations. Not so sure that’s entirely accurate. 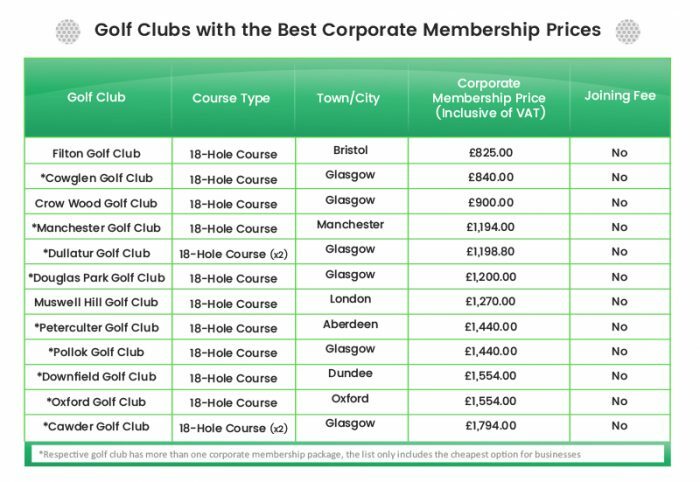 Close House GC & City of Newcastle GC in Newcastle both offer a Corporate Membership. sure the park does as well.